Attorney General William Barr may soon receiveRobert Mueller’slong-awaited report. This week, MSNBC’s Chief Legal Correspondent Ari Melber joins The Dan Abrams Show to discuss what to expect. While speculation abounds, the public may not get to see the final report. The Special Counsel’s Office has specific regulations on what needs to be communicated to the Attorney General upon conclusion of an investigation. The Attorney General will receive a confidential report explaining the prosecution or declination decisions reached by the Special Counsel. There is no subsequent obligation to release the report to the public, however the Attorney General may make that decision if he determines it to be in the public interest. On that vein, Dan Abrams and Melber question why Donald Trump seems to have changed his tune by advocating for the release of the report to the public. 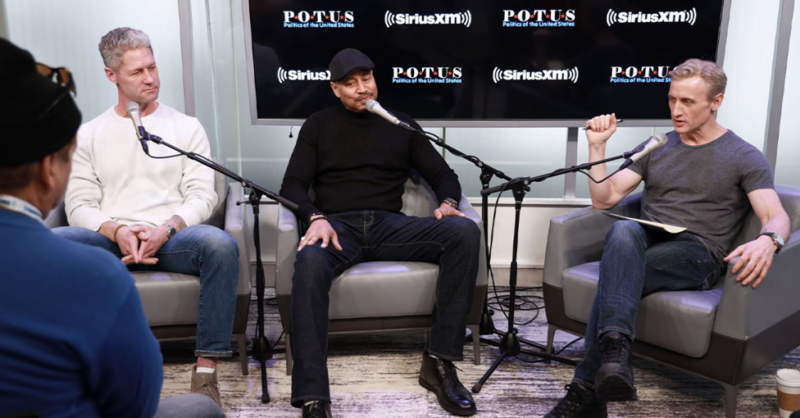 Live PD hosts Dan Abrams, Sean “Sticks” Larkin, and Tom Morris Jr. discuss their law enforcement backgrounds and how they worked their way to the number one show on cable on Friday and Saturday Nights. Law&Crime, the fast-growing 24/7 linear and OTT live trial network founded by TV’s top legal commentator Dan Abrams, has teamed up with PodcastOne to launch a series of new podcasts focusing on the world of law and true-crime. First to debut from Law & Crime on PodcastOne is the self-titled The Dan Abrams Podcast, set to release new episodes every Thursday, beginning today. Episodes will be available at PodcastOne.com, Apple Podcasts and LawAndCrime.com. To listen to the show or subscribe, visit: http://bit.ly/2UpIKp4 or https://apple.co/2IV5pZ6 . Stay tuned for more shows from the Law & Crime Network on PodcastOne. For more information, please visit PodcastOne.com or Law & Crime . intriguing world of the law, while also offering original crime stories and legal programs to a broad and multi-platform audience. The network broadcasts up to 4 live trials each day and has already archived more than 150 of the most compelling, high-profile trials across the United States. It is available on Philo, Pluto TV, Xumo, Tune In, Apple TV, Roku, TV Player, Klowd TV, and more. 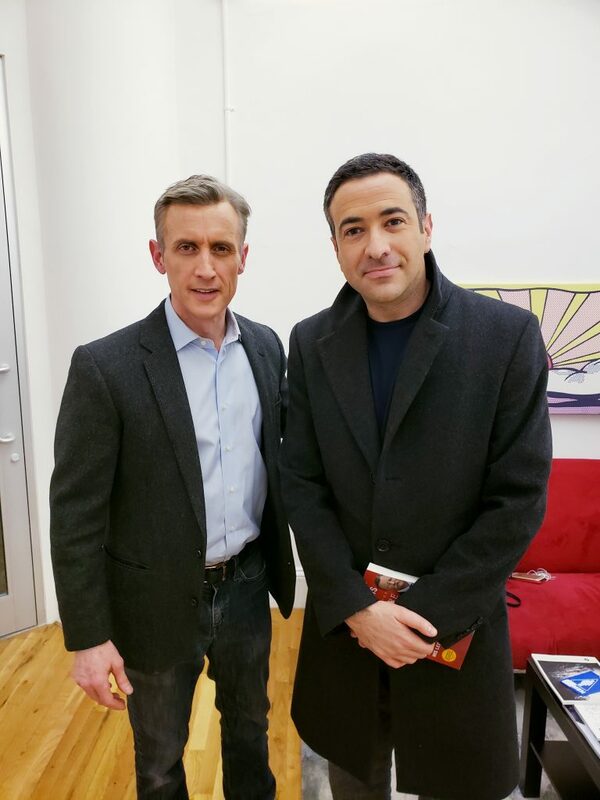 Dan Abrams is founder and CEO of Law & Crime Network, Chief Legal Affairs Correspondent for ABC News, and the host of top-rated cable series “Live PD “ on A&E Network. ​He was previously the co-anchor of ABC’s Nightline, host of “The Abrams Report” and the acclaimed “Verdict with Dan Abrams” on MSNBC. ​Dan ​also ​​served as General Manager of MSNBC, where he presided over a period of unprecedented growth, with ratings and profits each increasing well over 50% during his tenure. PodcastOne, (www.PodcastOne.com) the nation’s leading advertiser-supported podcast network, was founded by Norman Pattiz, founder of radio-giant Westwood One. The network currently hosts more than 300 of today’s most popular podcasts, including Adam Carolla, Shaquille O’Neal, Steve Austin, Kaitlyn Bristowe, Dan Patrick, A&E’s Cold Case, Laura Ingraham, Spencer and Heidi Pratt, Scheana Shay, Heather and Terry Dubrow, Jim Harbaugh, Ladygang, Dr. Drew, Chael Sonnen, Penn Jillette, Rich Eisen, Barbara Boxer and hundreds more. Law & Crime’s Dan Abrams discusses the importance of the two indictments against Russians against and what implications they hold, if any, for the Trump campaign. Former US Attorney & Deputy Assistant Attorney General in the Department of Justice Harry Litman talks Adam Schiff’s comments, and what direct evidence of collusion the Mueller investigation may have. Former federal prosecutor for the SDNY and current NBC & MSNBC legal analyst Mimi Rocah joins Dan to discuss Michael Cohen’s testimony before the House Oversight Committee. Dan and Renato Mariotti discuss the New York Times Matthew Whitaker story. Mariotti breaks down the difference between legal analysts on major news networks. Dan Abrams and Fox & Friends host Brian Kilmeade discuss Burr’s comments on the Senate Intelligence Committees investigation. They take a look at the Mueller investigation and Paul Manafort’s impact on the image of Trump’s campaign. Dan analyzes the Roger Stone indictment and brief press conference following Stone’s early-morning arrest. Dan and David French, senior writer for National Review, discuss the latest government shutdown news and impacts being felt across the country. Dan looks into Rudy Giuliani’s most recent interviews on the Trump-Russia investigation.